It was a cold, half rain half snow kind of evening last late April, with driving conditions that had reduced visibility and reduced braking efficiency. It was one of those drives where you breathe a sigh of relief, and say a prayer of thanks when you arrive safely. My wife and I were also driving an elderly couple from my church. They really wanted to listen to this speaker as much as we did. With the weather the way it was, our typical 40 minute drive ended up being much longer. We arrived to find the parking lot completely packed. It was then decided I would make sure the elderly couple got inside safely, and find them a seat, while my wife parked the car. I was then to meet my wife at a seldom used rear entrance door to this beautiful 18th century church. While I was waiting just inside the deserted back entrance, I watched an incredibly dignified, elegant woman dressed in a long satiny aqua blue dress slowly walk towards me. I had never met her, but I knew instantly who she was. Our eyes met, and she gave me the most big, beautiful. generous and genuine smile. There was absolutely no one else around. It was extremely surreal to be acknowledged by such an iconic world figure in such a caring fashion. She then disappeared into a small office by the back door for a few minutes of quiet before she got on the platform to speak. Such a beautiful, elegant smile. Photo credit. Nick Ut AP photographer. It was only a couple of minutes after my wife and I eventually located a pair of empty seats in the balcony area that this same dignified, elegant woman was introduced and then she began to speak with these words, “I believe everyone has a story to tell, but tonight it is my turn.” Her name was Kim Phuc, better known as “The Napalm Girl” or “The Girl in the Picture.” She then took us back to that horrific day over 40 years ago during the Vietnam War when her life was forever changed. In a quiet, soft spoken voice she had us riveted to our seats. You could have heard a pin drop as she took us all back to June 8th, 1972. She lived north of Saigon in the Central Highlands, with her very close family in a small village called Trang Bang. 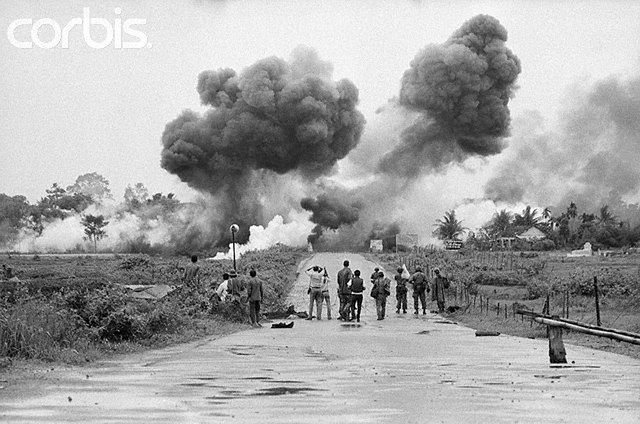 The village had been attacked and occupied by North Vietnamese forces. Her home and property was overtaken and her entire family fled to nearby Caodai temple, encamping in an outbuilding with about 30 others, where there also about 10 south Vietnamese soldiers. The fighting outside the temple grounds was fierce. There was some security having those soldiers in their presence, one who was often engaged on a two way radio. Air defense assaults had already taken place in various parts of the village. Planes would fly in tandem. 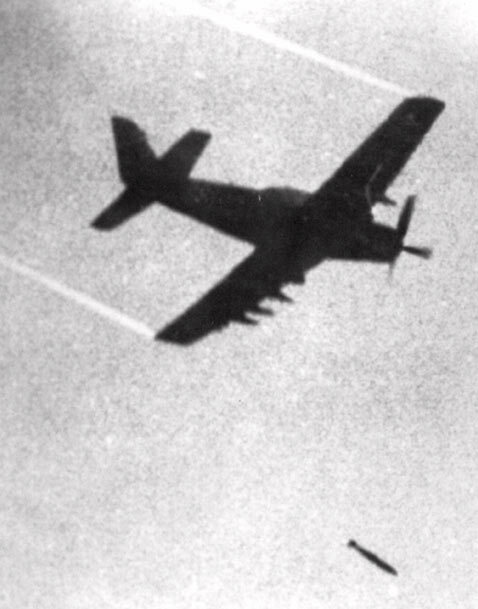 The first plane would drop highly explosive bombs to hit and open up targets like bunkers or tunnels built by the invading north, the second plane dropped napalm, designed to burn to death any survivors. 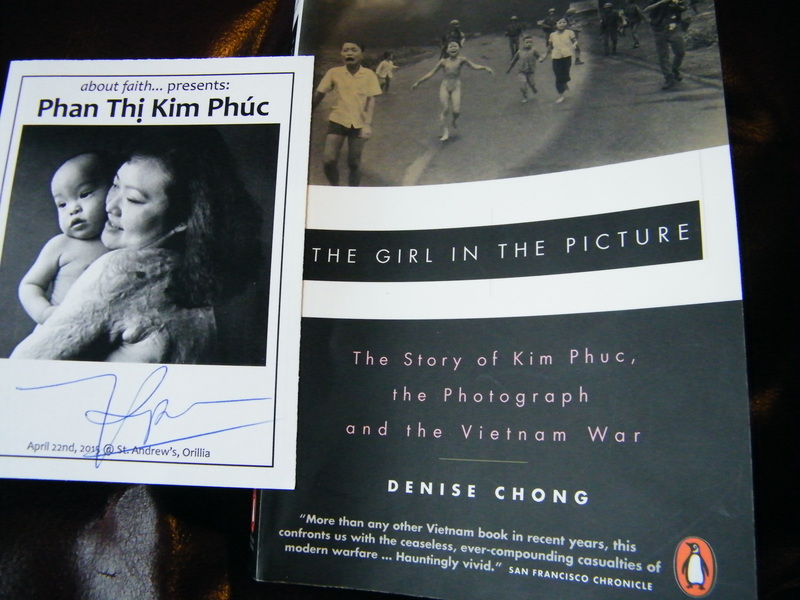 In the Kim Phuc’s bestselling book titled “The Girl In the Picture” authored by Denise Chong, she describes napalm. The term “napalm” comes from the combination of naphthenic and palmetic acid. When it lands through an explosive bomb, the burning napalm distributes with the phosphorous jelly and sticks to whatever it lands on. Landing on human flesh, it will burn at 800-1200C. If the gel that lands is a thicker nature such as coming from a direct hit, it will keep burning downward, feeding on fat and muscle down to the bone. Victims of a napalm attack were not expected to live. What happened next can best be described as a misplaced napalm bomb strike, and confusion from the pilots of the location of the Communist forces and the South Vietnamese forward positions. When it became apparent that a napalm bomb strike was imminent, the soldiers told the civilians to “run, everything is going to be destroyed.” While running, Kim took a direct hit of napalm to the back of her body. She kept running and running, crying in Vietnamese “too hot, too hot” until she ran out of the inferno and into the camera viewfinders of several international war photographers watching from the distance. One of that group was Nick Ut, the AP photographer who took the iconic picture that symbolized the Vietnam War. One soldier gave Kim a drink from his canteen. Another unknowingly poured water on her still burning napalm, causing much worse pain, and she fainted. Kim describes her fainting as merciful. Even though Nick Ut had newspaper deadlines to meet, he did the humane thing. He had Kim Phuc and another adult victim go in his AP van to the nearest hospital. Little did Nick know, that Kim would end up in a small outbuilding for children expected to die. After frantic searching, Kim’s parents located her. They pleaded for her to go to another hospital, where permission was given for Kim to be transferred to an American hospital called Barsky Hospital in Saigon. 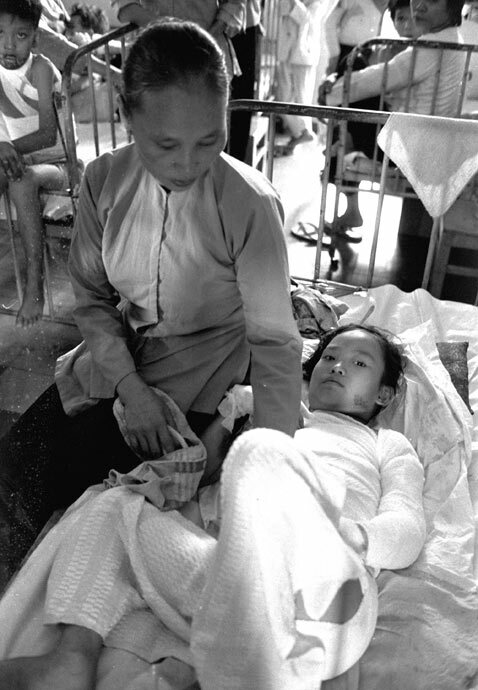 Breaking hospital rules (there was no hospital in all Vietnam equipped to handle fresh napalm burn victims), a Dr. My Le admitted Kim and got her treatment started. The daily cleansing of removing dead skin and tissue of a burn victim, is said to be the most intense pains known to human beings. But it is necessary to ward off any more infection, and to allow new tissue to regenerate. 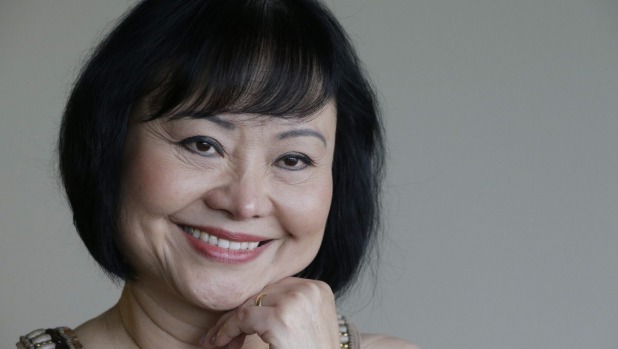 Kim Phuc spent 14 months in hospital in excruciating pain. With many extremely serious issues arising from the burns, which included 3rd degree burns to over 35% of her body, and a left arm burnt almost to the bone, it would take 17 surgery’s to save her life. With the care that she received at Barsky, Kim Phuc dreamed of one day becoming a doctor. 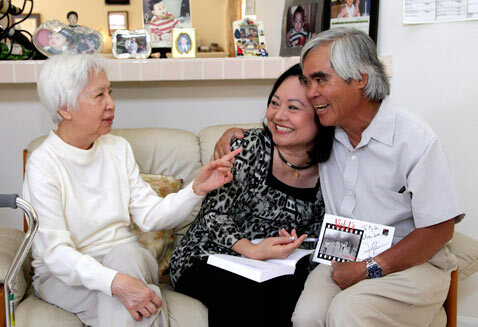 She started her pre-med studies in Saigon, when she was pulled out against her will and used for propaganda films by the communists. This was a very dark time for her, and Kim became depressed and wanted to die. Through an amazing turn of events Kim received political asylum in Canada. She is married, has two children and lives just about a two hour drive from me in Canada. She has become a Christian, and has met and forgiven the person who authorized the napalm attack. She connected and became good friends with Nick Ut. His photograph changed both their lives. For Nick Ut, he received the 1973 Pulitzer photo of the year. It would be years before Kim actually saw this photo of herself. In the end, it was the picture that set the stage to escape the clutches of the Communists and find her freedom in Canada. She mentioned that there are SO many war victims not as fortunate as her. Kim has founded and heads up The Kim Phuc Foundation International, a non-profit organization that provides much needed medical and psychological assistance for the innocent child victims of war. On top of that, she is a very much in demand public speaker, sharing forgiveness and hope in a world of so much hatred and violence. As Kim closed her presentation, she humbly asked for prayer. For safety as she travels and speaks from place to place. Also she asked for prayer for her pain. For over 40 years she has lived through this chronic constant pain because of the nerve damage from the napalm burns. The book “The Girl In the Picture” book written about Kim Phuc. VERY powerful and well worth reading! Picture on left show how painful the burns still look decades later. 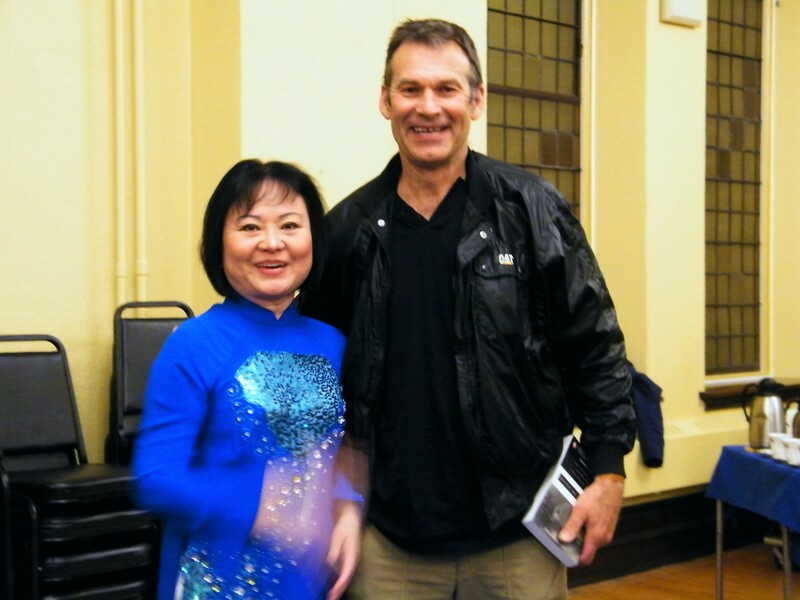 I met up with Kim Phuc after her presentation where she was signing her books. She remembered me as “the man waiting by the door”, and lingered to spend a couple of minutes to talk and joke with me while she signed my copy of her book. And she thanked me profusely several times for coming to hear her speak. 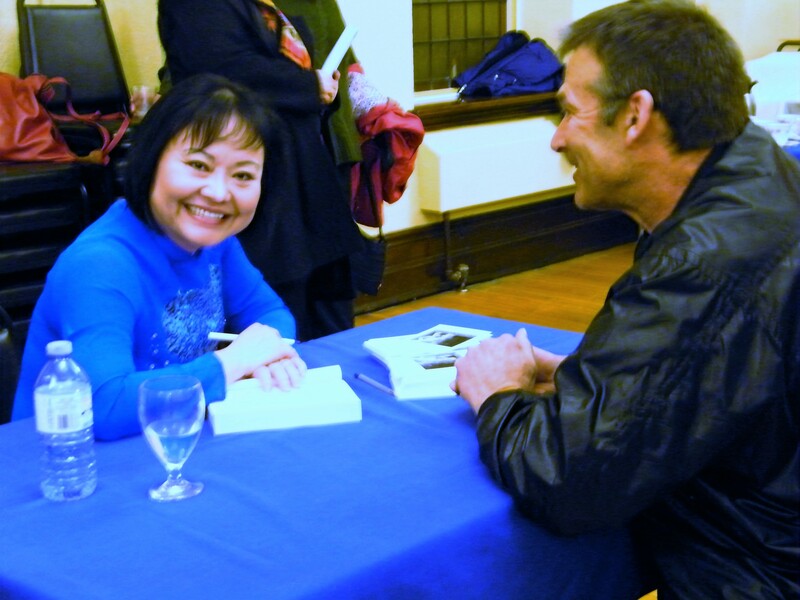 Sharing a laugh while Kim Phuc was signing my copy of her book. War is a horrific thing. Not only does it destroy property, it destroys the lives of fellow human beings. It is only through God’s grace and forgiveness that Kim Phuc has become that beautiful, elegant and dignified woman she is, as she extends grace and forgiveness to the world around her. The latest development in Kim Phuc’s journey since last April is she has started receiving laser treatments from a generous Miami doctor, who has offered her services pro bono. A Toronto Star article and accompanying video within the last month about this breakthrough treatment can be found here! My prayer that while on this earth “The Napalm Girl” will be healed of her chronic pain and be able to live a life that is free of pain. Carl, what a wonderful post, quite emotional and empowering at the same time. I can’t believe how powerful this story is. I am wiping away tears as I type. I think of that commonly used expression ‘casualties of war’ and feel it helps us to forget we are talking about people and so we pass over thinking about the pain and destruction of so many lives. The inhumanity of mankind has always existed in all societies – I hope that genetic engineering can master this problem in the centuries ahead. Thank you so much for your very caring and perceptive comment. And you hit it right on the nail regarding the expression of “casualties of war”. We are talking real people. To others they are friends, brothers and sisters, sons and daughters and moms and dads. I am so fortunate to have freedom from war in Canada, but as we have watched the news lately, violence and inhumanity can happen anywhere. Thank you so much for taking the time to read, and share your well articulated comment! Another wonderful post, Carl. I have seen that photo many times, but never had any idea what had become of her. Thank you so much for sharing this story! Thank you so much Denise. I really appreciate this. I was about 14 years old at the time of this photo. As a young teen, I did not understand much about the Vietnam War or napalm bombs, but I do remember this photo on the front page of our daily newspaper that arrived in the rural delivery mail box. The girl was not much younger than me, and it was an image that was hard to forget. The photo is so very recognisable. Because Kim Phuc lives “fairly” close nearby, a fair number of people know of her in my part of Canada. But I was not so sure in places such as Chicago how well known she was. Am really glad now to share her story. What a moving post! I’ve seen this photo before but didn’t know the story behind it nor the incredible story of her survival. How fortunate to be in her presence ! A strong woman who forgiveness for those who inflicted her pain, speaks volumes! Great photos too! Thanks again for sharing! Lia, thank you so much for stopping by to read and share. I was SO fortunate to be in her presence. Simply put, I left for home a changed person. My life problems I have had over the years seem so paltry to what Kim has had to endure, and she has overcome them with such strength, grace and dignity. A definite recommendation if she ever speaks in your area, go see her speak. Thank you, Carl for your description of how Kim influenced you…I really do hope she’ll come to the NYC area one day. I would love to hear her speak. Wishing you a great rest of your weekend! Her smile is the embodiment of peace and forgiveness. What an extraordinary woman. Thank you for sharing! You are so very welcome Kristi. Thank you so much for stopping by. Kim Phuc is such a remarkable woman. You said it so beautifully about her smile. Thanks for sharing this story. I have never heard it before. So beautiful and moving. Have you ever read, “Left to Tell” by Immaculee Ilibagiza? She is a survivor of the Rwanda Genocide. A moving story of pain and suffering and amazing forgiveness. Oh my God Carl, thank you so much for this post. I’m sitting here literally teary eyed as I finished it, trying to square the visual images of the Kim I knew as a child from that infamous picture with the person you write about so eloquently in this post. I never knew her name so thank you for that too. It’s really difficult for those like myself that have never known what it’s like to live in a war zone to truly comprehend the horrors of doing so and it’s really important I think to acknowledge all the collateral damage, which your post helps illuminate. Kim’s story is a testament to the innocence of a child wo has nothing to do with controlling the world events of her time, but yet who suffers so significantly from it. War brings about horrible, and brutal acts; it’s imperative we keep this in mind as the world turns yet again towards self destruction. Thank you Tricia for reading and for such a caring passionate response. Her full name is Phan Thi Kim Phuc, but in Canada she goes predominantly by the shortened Kim Phuc. Like yourself, I have a difficult time comprehending the horrors of war. For those who have lived through it, it can be so horrific they cannot even talk about it. The memories are just too vivid. Kim message was about the horrors of war, but also the power of forgiveness. Kim’s VERY last words before she finished her presentation was, “I don’t want you to come away with the image as a symbol of war. I want you to think of it as picture of peace.” She is wanting to use her horrific image as a way of saying “war is not the way to go”. Thanks for adding this Tricia. When Kim Phuc did share about forgiving others, she mentioned, “I feel completely free”. That is so powerful, and a reminder to me not to hold grudges or harbour forgiveness in my heart. Wow..wow.. and wow again. My goodness, you see God knew Kim before time and her life right now is touching other lives as a result of that morbid event. I can’t imagine the pain she’s been through, but yet her smile is beautiful. Well done Carl, God bless you sir! Thank you for sharing this beautiful and powerful story. I am moved by it and deeply touched. You are so welcome Kim. Thank you for taking the time to read and share this. Means a lot! Haha, you are so kind. Really did have to cut back my content, so as to not have too lengthy of a blog post, particularly how Kim got political asylum in Canada. It was such an honour to met Kim and have a very short visit with her. 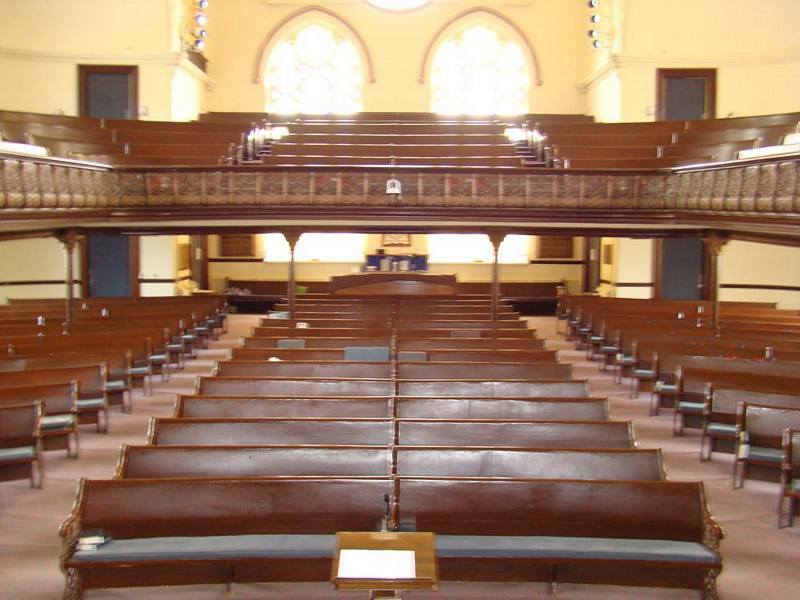 You might have a good point about St. Andrews Presbyterian Churches. 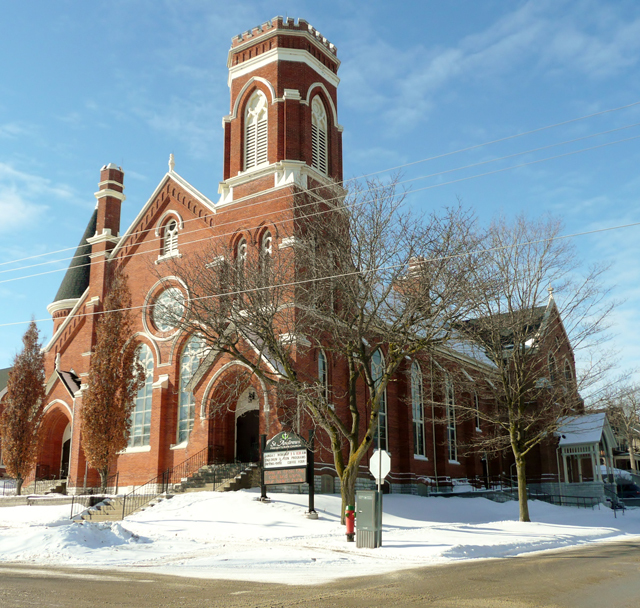 The church I am lay pastor is also called St. Andrews Presbyterian, From the outside it look quite similar, it has a bell tower, but does not have a turret, but is a quite a bit of a smaller building. I never really thought much about this. Now I am rally curious to check out others with the same name. Your post gave me the goose bumps…thank you very much for sharing. I grew up not knowing anything but the Vietnam War….it almost became a war you assumed would never end…that picture is so iconic and powerful! Thank you again for sharing her powerful story!! Hi Kirt. You are very welcome my friend. Coming from Canada (which was not too involved in Viet Nam), I never really knew what the war was all about either. I was just in my early teens when this picture made news headlines around the world. I remember it when it 1st came out, and have seen it many times since. To hear the story from Kim Phuc herself, and then hear her journey since that day on June 8th, 1972 was really incredible. It did give me goose bumps listening to her. I am glad I was able to portray it forward in this post. Wow. When I began reading your blog post I had a thought at the back of my mind and the visual of her running in the very photograph you shared. What an amazing life journey she has had. I am so happy that she received asylum in Canada and is able to heal through sharing her story. Thank you for sharing your experience in listening to this amazing woman’s words. Wonderful post. Best wishes. You are very welcome Rachel Ann. Thank you so much for taking the time to read and share. It is really cool that you pieced together the photo and story in your mind before I included the photo later on in the post. No doubt being able to talk and share her story would be healing. Really was wonderful for her to receive asylum, and start a new life in Canada. Thank you for this incredible, powerful story of bravery through non-stop pain, physically and mentally. She is a heroine for many people through her foundation. Your meeting with her must be a highlight in your life. What an extraordinary article. It must have been incredibly moving to hear this courageous woman speak. I can not begin to comprehend the terror of living day to day in a war zone, and for her, because of her ongoing suffering, it must have been as if the war never ended. The depth of her suffering from the pain and devastation that dropped from the sky must have been extraordinary. What a marvel that she was able to find the strength to forgive. I imagine that through forgiveness she has found great peace and serenity. I was in college when that iconic photo made its way around the world, and I have a vivid recollection of listening as my older brother explained just how Napalm worked its dirty business. I was speechless. Only the dead have seen the end of war. Adri, thank you for such a powerful, well thought out and articulated comment. 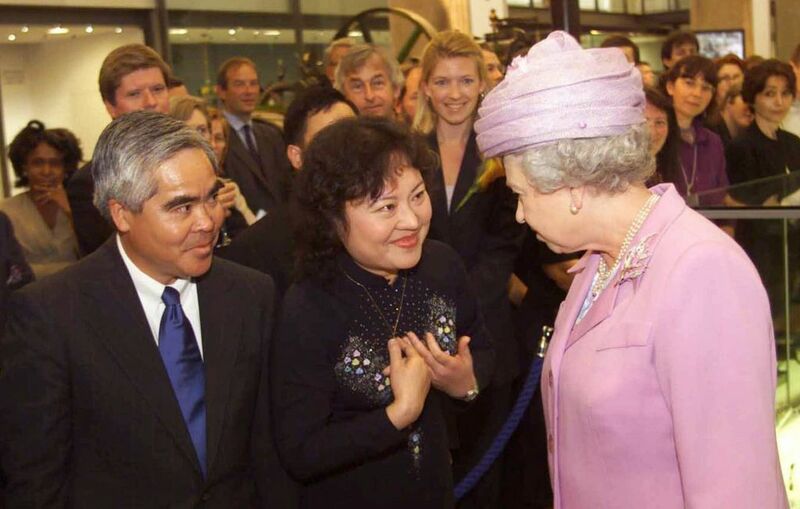 Kim Phuc would always wear long sleeves in public and people would not know any different. It was only when she shows present day pictures of her wounds 43 years later do you realize the ongoing suffering she endures. For myself, I only learned about napalms dirty business during Kim Phuc’s presentation, and the reading I have done since. You have an amazing older brother, to have the knowledge of it like he did. Yeah even though the war is long over, the torment of the war does not end for those who have lived through it. I believe it was when Kim mentioned she was speaking at a Vietnam Veteran’s War Memorial in Washington that she met the man who had ‘ordered” the napalm strike. He himself had been tormented throughout all the years by what he had done. Someone had brought him to her after the crowds had dispersed, and anguish was written all over his face. Kim held out her arms, and the man fell into them saying how sorry he was, and Kim saying she forgave him. Forgiveness is SO powerful. To see Kim Phuc smile the way she does, you know she does have that inner peace and serenity. Carl thank you so much for leaving your link at my Meet and Greet event! Your link lead me here to your Blog. I Follow you now I hope you will follow me too and enjoy my Art since I am an Artist. I just had a quick look to your very interesting Blog and I got captured by this very powerful post, you described your meeting with her with beautiful words! Every time I see that powerful picture of her running it brings tears to me and hit my heart, it shows the horror of war. I thank God that I was born in a time of no world war and I never want to see one. She was just an innocent child that had to suffer so much. It is beautiful and an honour that you got to meet her, and experience the beautiful smile she has! Thank you Carl for this beautiful post! Thank you for your follow, for reading and for your wonderful comment. Even though the photo was 43 years ago, so many people like you and me are deeply affected by it. Yet despite the horrors of war, they do even now sadly wage on in various parts of the world. I too thank God that where I live it is free from war. Thank you for your introduction. This would have been a quite an adjustment as a 13 year old to move from one continent to the other. It is very beautiful here. We have our 4 distinct seasons. Been to California MANY years ago. Was more of an “adventure” vacation trip. Death Valley, Mt. Whitney, King’s Canyon were a few of the places I hiked in. Definitely understand the distance separation with parents. My wife’s parents have been in New Zealand, and she sees them every few years. WOW! You’re so fortunate to have met her! What a story! I am indeed so fortunate to have met her Fleck. Very surreal, probably one of my top people I have met in my life. Thank you for dropping by and for reading and commenting. Nice to have you here! So good to hear she has managed to live through that horrific story. Thanks a lot for sharing. You are very welcome. Thank you so much for reading. The resilience she had to not give up, but to keep going against all odds was incredible! What an amazing opportunity to speak with such a historical figure. How she has lived her life since that tragedy and used her experiences to benefit others is nothing short of miraculous. I enjoyed this exceptionally inspiring post. Thanks for sharing, Carl. So wonderful to have you drop by Lilka, and you are very welcome. To be able to speak with Kim Phuc was so incredible. Definitely always cherish that evening. Her story is so extraordinary. Thank you for sharing her story which I was completely unaware of. What a great inspiration she is, to pick herself up and become an example for hundrerds to follow. I will be definitely reading more about her! You are most welcome Prajakta. Thank you so much for reading. With Canada being the northern neighbour of the United States, we got a lot of news coverage about the Vietnam War, as it was happening during my teens. 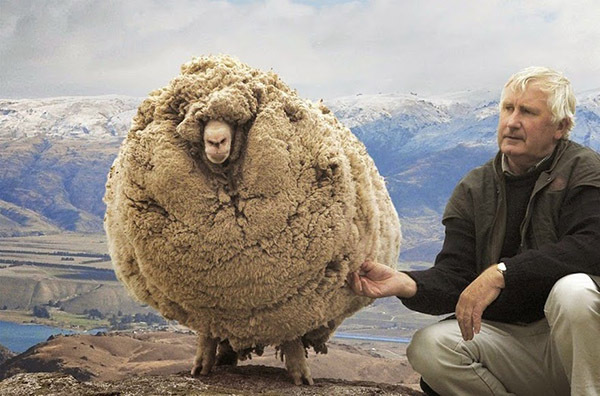 At the time, that picture from napalming was very well known. Very nice post. Very emotional. thanks for sharing with us. Wow, what a powerful story Carl. Thanks for sharing this. I have seen that photo before of the ‘girl in the picture’, but never knew the story behind it. Fascinating. And what an amazing opportunity to meet her. You are very welcome Staci. Thank you for stopping by and taking the time to read and share. Even though it was just was for a couple of minutes, it was such an incredible opportunity. The memory of it continues to stay with me.